Solving imperfections of the smile is the easiest approach to attain a prettier look. Patients in the area of Surat who have concerns with the teeth and facing the problem of the smile may like to questions their dentist about ways to hide these problem areas. With porcelain veneers, Dr. Chintan can fast and craftily handle these issues! Dr. Chintan is a dental specialist present in the area of Surat who utilizes porcelain veneers to improve the smile’s appearance and strengthen individual self-confidence in his patients. Defects like broken, gapped and stained teeth can badly influence the smile, and by putting porcelain veneers in place, these problems are quickly hidden. Porcelain veneers are ceramic restorations that are personalized for patients to bond over the front of the teeth to cover them. These restorations are an exceptional choice for patient consideration. They are made to suit the existing teeth within the smile to ensure that they mix in, accomplishing the smile’s look. 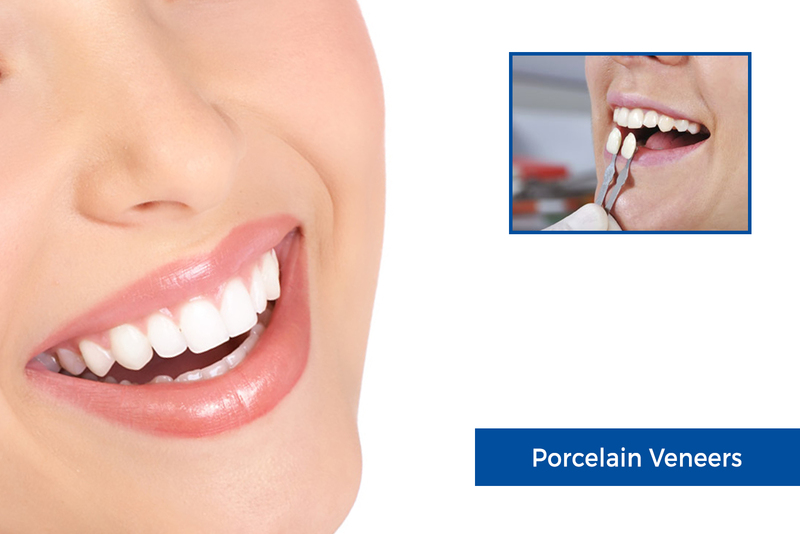 What is the process to acquire porcelain veneers? Patients begin by booking a consultation meeting with their dentist. This is the ideal time for the dentist to evaluate the smile and provide suggestions for patient consideration. If patients decide that they would like to go ahead with porcelain veneers, preparations are made. These preparations include filing down a thin portion of the enamel from the front of the tooth to remove the possibility of adding bulk. Impressions are prepared and forward to a laboratory for the fabrication of the veneers, which are bonded onto the teeth at a later meeting when the restorations are finished. Patients acquire knowledge from their dentist how to care and maintain their veneers.